Will this work with a ptz camera? BEST ANSWER: Not really..it doesn't allow the camera to do what it is designed to do; pan, tilt, zoom! The housing is stationary. Exactly as advertised and just what I wanted. Will order again. Excellent product for intended use. I've used it outdoors with no problems. covers almost every conceivable mounting situation and should be purchased along with the housing for a good total install. We have many 8 pound cameras mounted using these arms and they work great. CONS: None for our application. I found the bracket meet or exceed expectations and is conservatively priced given the solid structure of the mount. 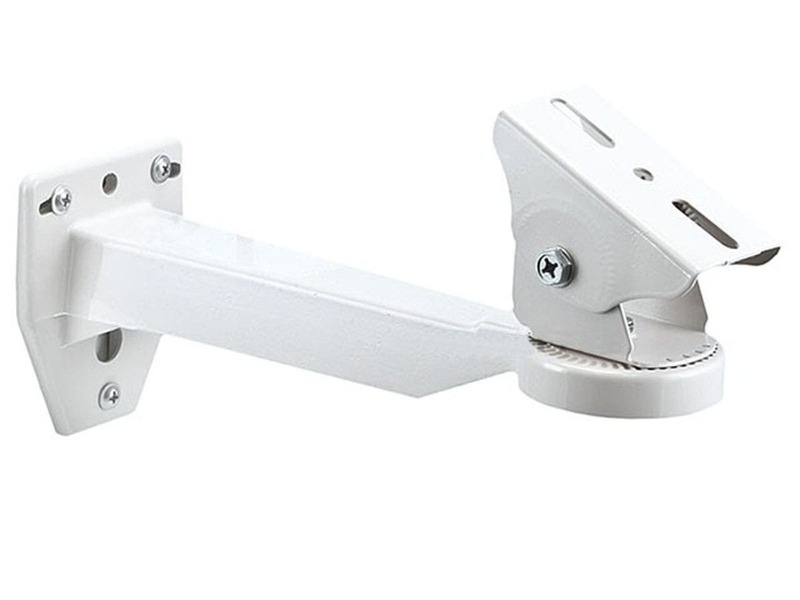 Unlike other available brackets this unit employs heavy weight screws and indented sliding surfaces that securely lock in the horizontal and vertical settings capable of supporting a fairly heavy cctv assembly. PROS: Quality/price cannot be beat. I purchased this item to support an ACTI D-32 outdoor IP cam rather than a housing. It was simple to install and adjusting the facing and angle of my attached camera was fast and easy. Neither of which was true of the flimsy bracket that ACTI provided with the cam. Its footplate screw holes lined up with the two screw holes on the bottom of the D-32 and the supplied screws fit the D-32 perfectly. The bracket's paint finish has now been in Texas wind, sun, rain, and ice for one year and has not faded, cracked, or peeled. 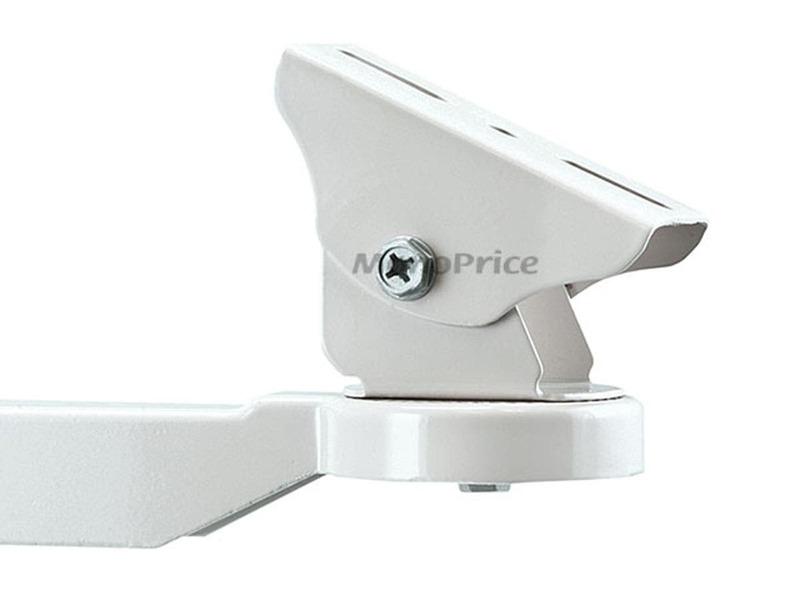 Good quality mount bracket. Adequate when used with the housings that Monoprice sells. But it does have one shortcoming. When winds are gusting, the bracket flexes enough to fool the camera into thinking that motion has occured in the field of view. I turned the motion sensitivity in the camera down to compensate. PROS: Incredibly sturdy and very adjustable. Excellent product.